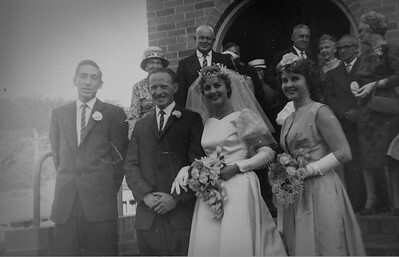 Slide Show shown at Colin Holmes' Funeral. 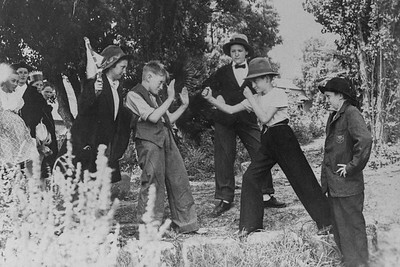 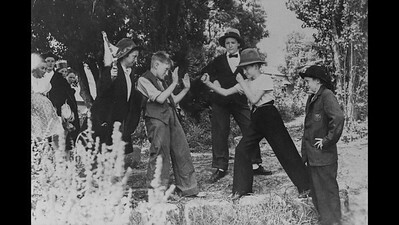 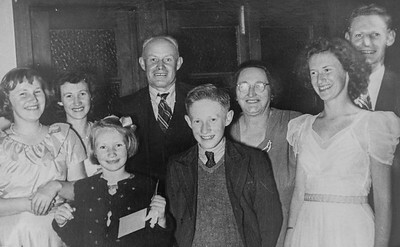 Colin Holmes, Allan Ramsay, Janice ?, School Breakup play, 1949. 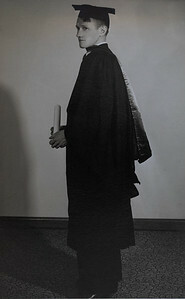 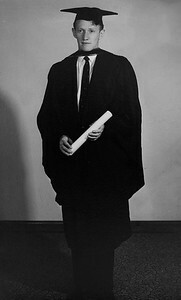 S.J. 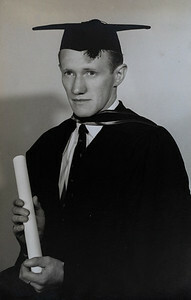 Campbell, Photographer, P.O. 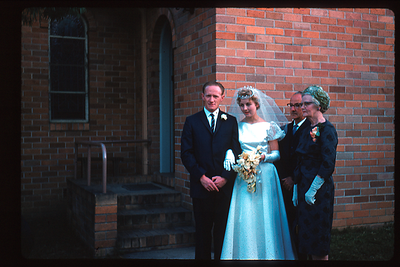 Box 59, Hornsby, NSW. 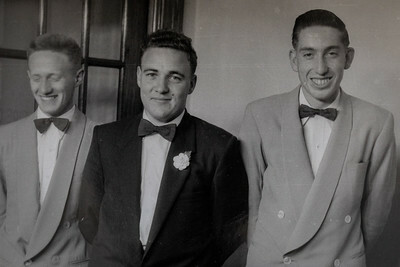 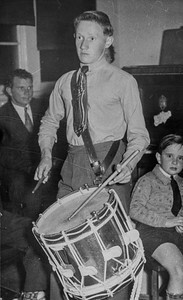 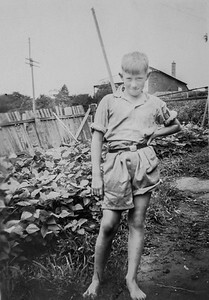 Colin Holmes' 21st Birthday Party, 16th June 1959. 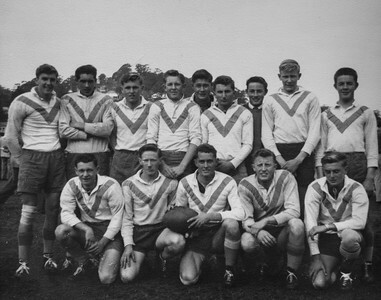 Taken before Old Student's (sic) Match. 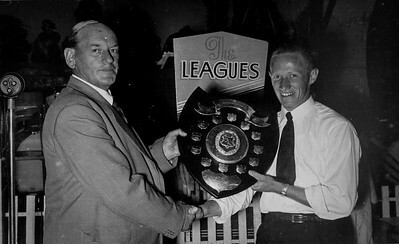 (Result:- O.S.O d. High 27 - 2. 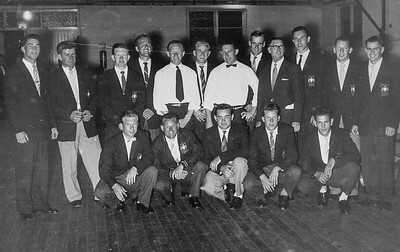 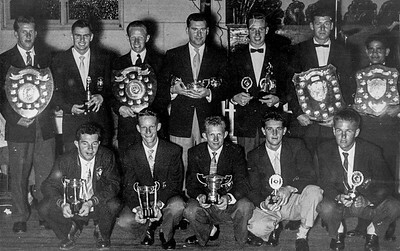 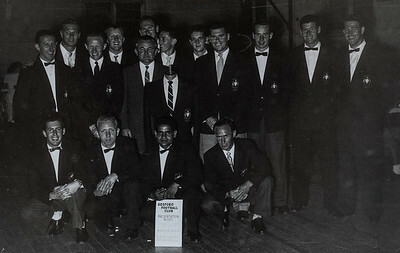 Back Row L to R: A. Manning, K. Robson, T. Illy, P. Chapman, A Burnover, B. Gallard, B. Birt, W. Stubbs, D. But; Front Rod: G. Illy, C. Holmes, B. Flakelar, B Green, K. Archbold. 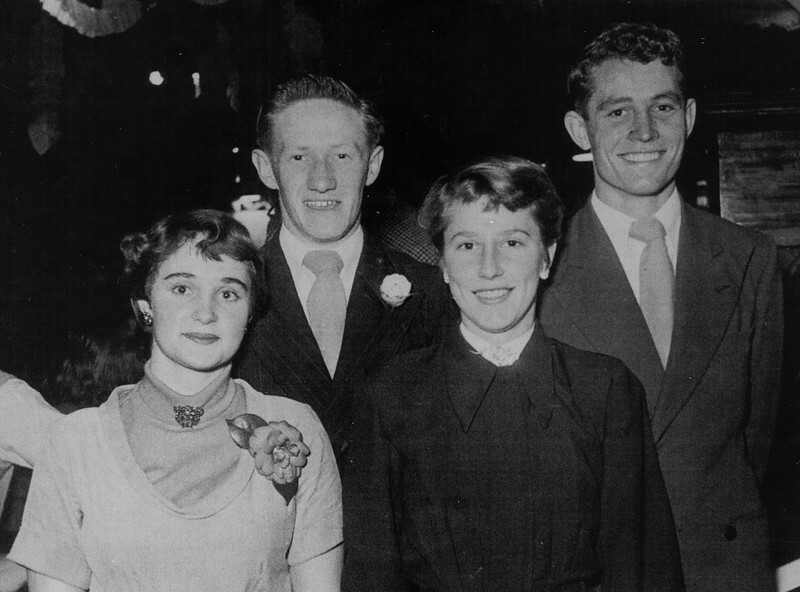 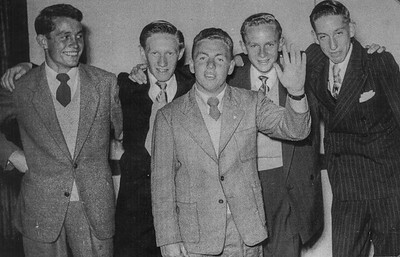 Beryl Franklin, Colin Holmes, unknown, Barry Flakely. 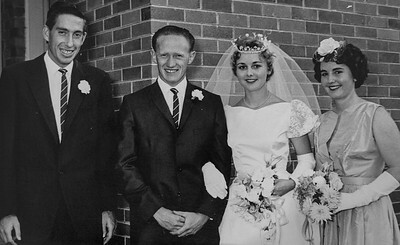 Colin Holmes, Enid Holmes (nee Pryor), Harold Pryor, Florence Pryor. 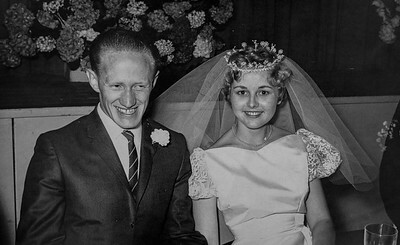 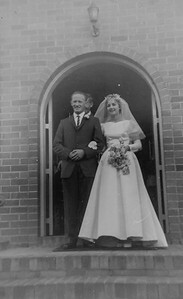 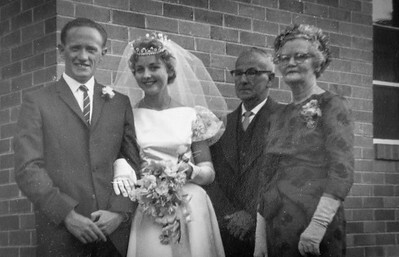 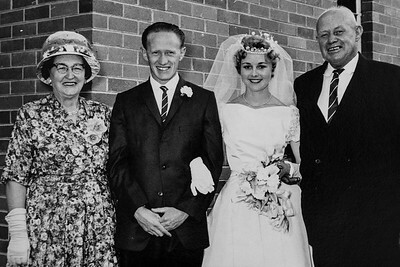 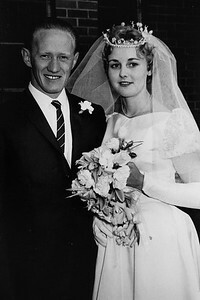 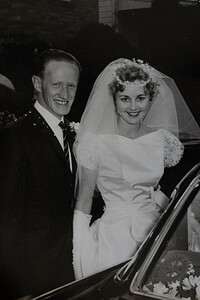 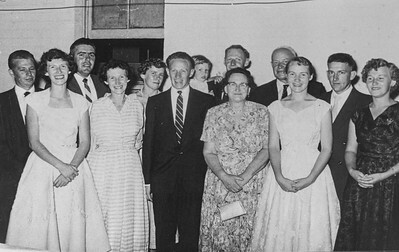 Marriage of Colin Holmes to Enid Pryor, 9th December 1960. 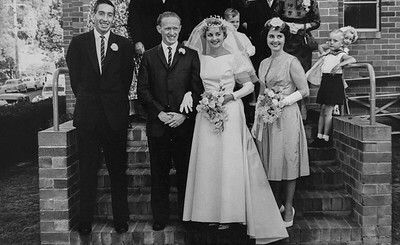 John Lewis, Colin Holmes, Enid Holmes, Barbara Newley. 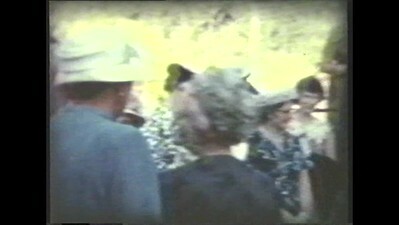 8mm movie of Colin & Enid Holmes' wedding and moving into first home. 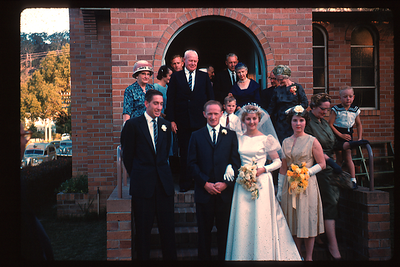 This 8mm film was taken by John Folder.